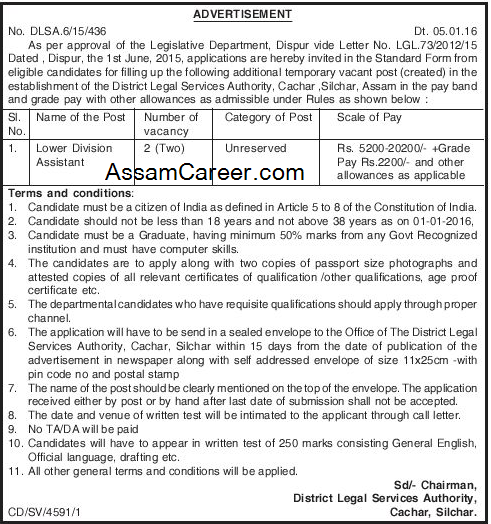 District Legal Services Authority, Cachar. 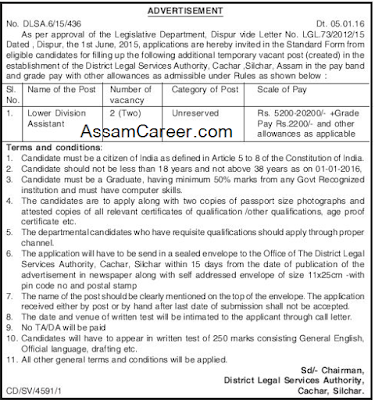 Applications are invited in Standard Form from eligible candidates for filling up the following temporary posts in the establishment of District Legal Services Authority, Cachar. Educational Qualification: Candidate must be Graduate, having minimum 50% marks from any Govt. Recognized institution and must have Computer skills.